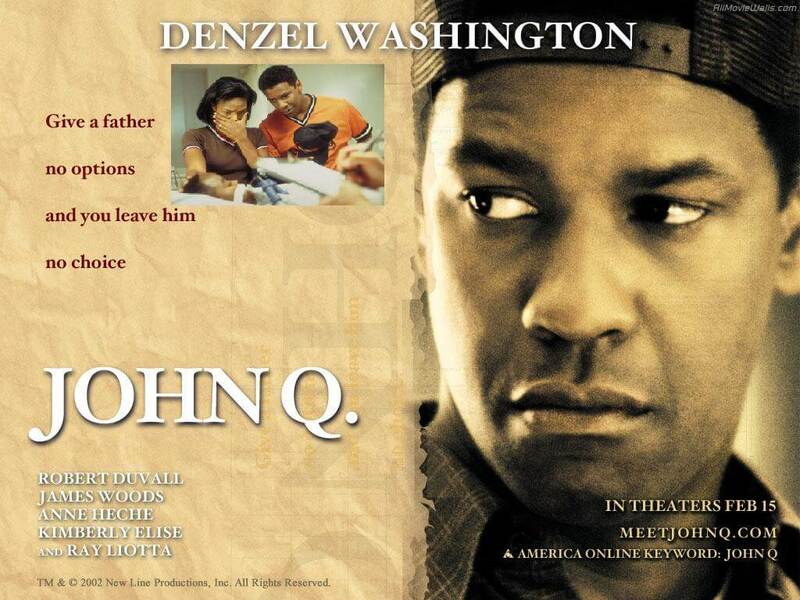 John Q. Archibald -interpreted by Denzel Washington- is an ordinary man who works in a factory and takes care of his family. His wife and son are the most important in the world. But everything turns into a nightmare when her son falls seriously ill and needs urgently receive a heart transplant, his health insurance does not cover the operation and ends up taking hostages at the hospital to get a heart for his son. Is a film that highlights the problems of public health services and private in the U.S..
During these moments of helplessness and collapse to the inability to raise money for the transplant, "Justice Of The Heart" is the song that sounds to achieve an emotional climax. Beautiful and delicate song composed by Brenda Russell and Stevie Wonder that is not on any of albums or compilations of Stevie. We can only listen while the action occurs in the film ..., but worth it.